Winter 2011, I was called to investigate a possible mold infestation. The 2nd floor apartment had black drips on the exterior walls and a bad smell. The tenants complained of headaches and watery eyes. 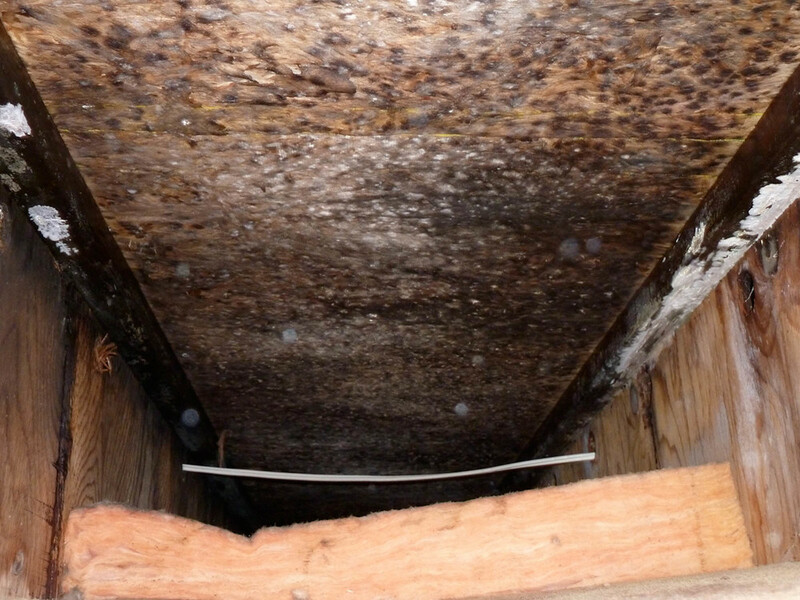 Upon investigation I found the roof cavity was completely covered with thick black mold. The warm moist air rising from the 1st floor bakery was causing additional condensation. 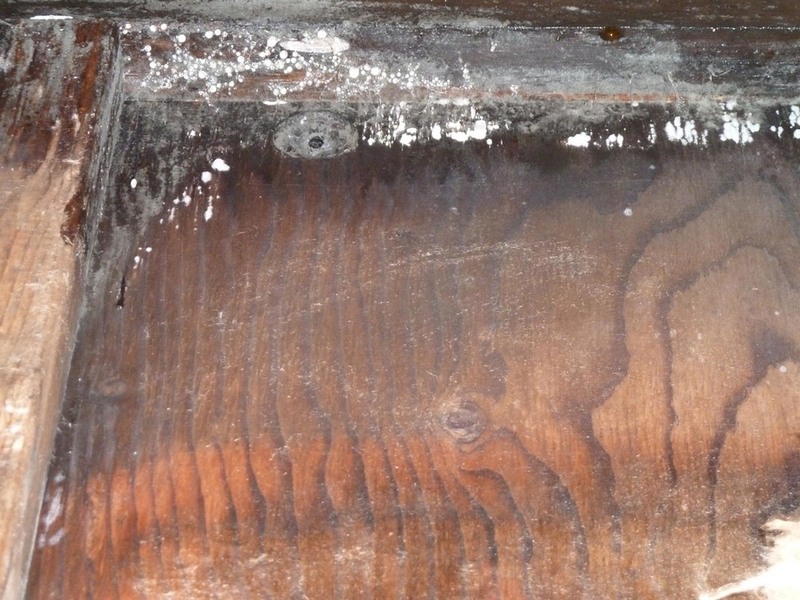 The roof cavity had close to no cross ventilation and the air was condensing in the cavity. Over the years this caused extensive damage. 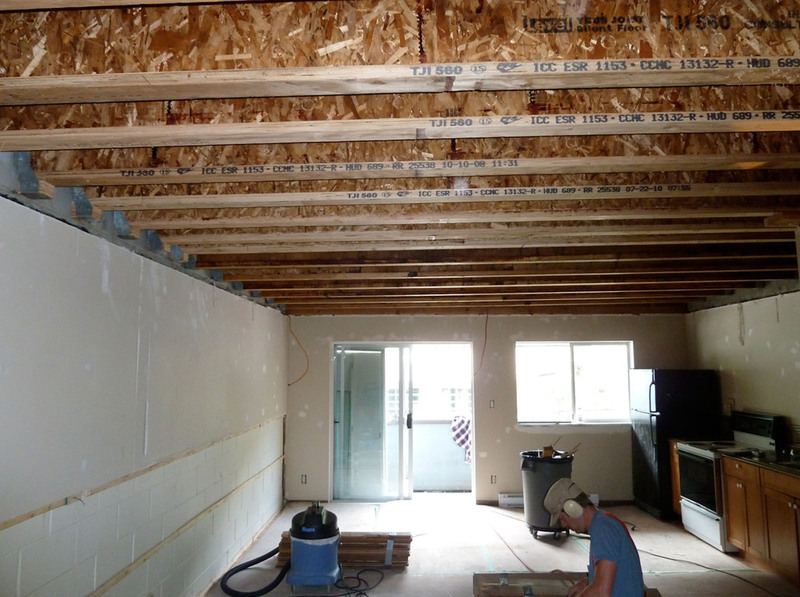 The remediation process included rebuilding the roof from the top. The 24” TJI’s were replaced, cross ventilation was added in the roof chamber, the insulation and roof were rebuilt as original. The roof was vented with the aid of electric fans. Roof structure was 24 in. trusses (TJI’s) t on 2 ft centres with 12 in. of insulation. Blower was left on for 2-3 days to provide “air scrubbing”. The air is circulated through HEPA filter several times per hour which removes the remaining mold spores from the air. Every surface then vacuumed with HEPA vacuum and washed with soap and water. This process repeated 3 times to ensure success. When remediation and cleaning was complete, the environmental consultant was called back in to conduct an air quality test that verifies the mold spore count is acceptable. The hard part is now done and the suite is ready to rebuild to the standard desired by owner . This unit is reframed, rewired, drywalled and painted. New doors and trim added, ceramic tile and hardwood flooring repaired. New carpet installed in the bedrooms. Unit handed over to owner. Project deemed a success and the suite is rented immediately. 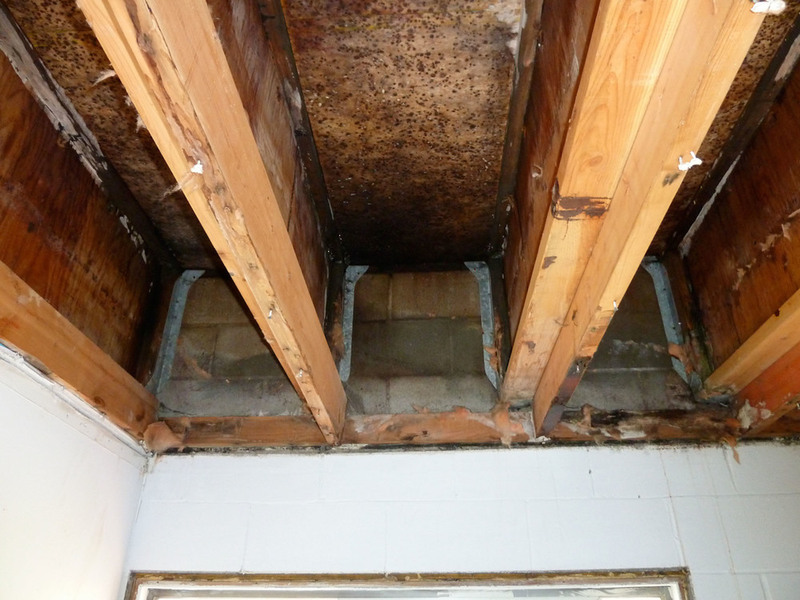 "I was in the process of buying a commercial building and during the course of my due diligence we uncovered a potential mold problem in the building. Steve was referred to me as an expert in the subject matter which proved to be the case. He identified the problem and came up with a cost effective solution to solve the problem. Steve was able to work within a budget, set time frame, coordinate the trades and liaison with the tenants in a professional and respectful manner. I would highly recommend Steve for any building envelope issues internal or external and contracting jobs you may have. If you need a reference feel free to call me 604 290 7712." Hendrik Zessel Senior Managing Director Cushman & Wakefield Ltd.